How the talented team at Screen Novelties brought a familiar 2D toon to 3D life in It’s a SpongeBob Christmas! special. You can call it the Rankin-Bass legacy—the reason we tend to enjoy our classic animated holiday programming spiced with a touch of stop-motion magic. It’s only natural that kids who grew up watching Rudolph the Red-Nosed Reindeer or Santa Claus is Comin’ to Town love to see the same technique applied to today’s favorite animated characters. 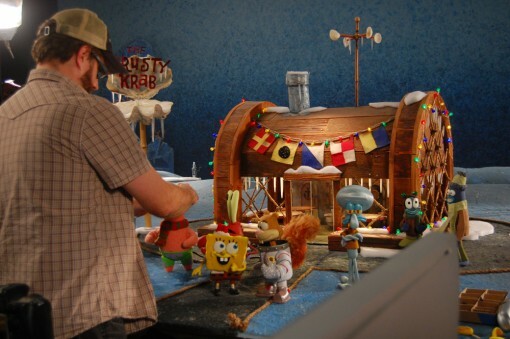 So when the creative team behind Nickelodeon’s long-running show SpongeBob SquarePants decided to create a new Christmas special this year, they went straight to the folks at L.A.-based studio Screen Novelties, which specializes in stop-motion magic. 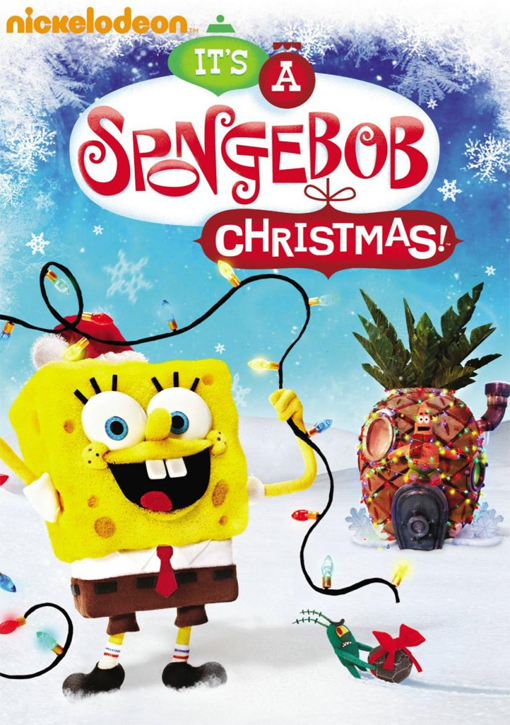 Screen Novelties had worked with SpongeBob creator Stephen Hillenburg and exec producer Paul Tibbitt on the 2008 theatrical release and the show’s 10th anniversary special opening titles, so it made sense that they’d also produce the animation for this Christmas special. 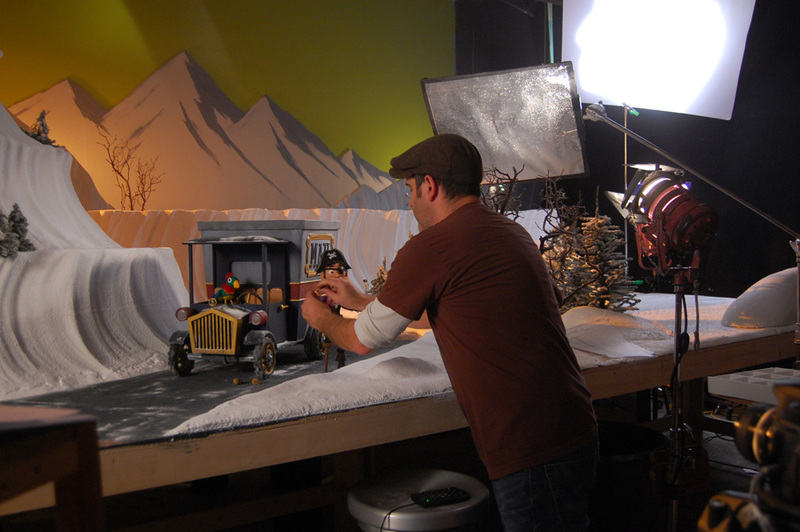 Plus, they have also done some amazing stop-motion work for TV shows such as Robot Chicken, Moral Orel, Chowder, MAD and The Marvelous Misadventures of Flapjack. They even collaborated with film legend Ray Harryhausen on the 2002 Annie-winning short The Story of The Tortoise and the Hare. 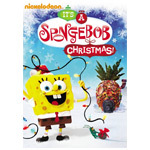 The half-hour-long It’s a SpongeBob Christmas!, which debuted on CBS last month and airs on Nickelodeon on December 8 finds Plankton turning everybody in Bikini Bottom from nice to naughty by feeding him some jerktonium-laced fruitcake. After several months of research and development, work on the show began in October of last year. 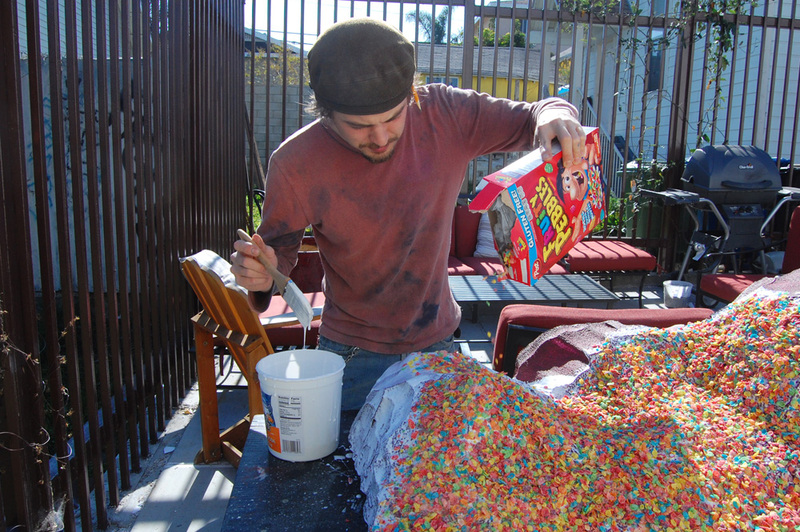 Among the cool stats we dug up on the shoot: Six sets were constructed on which 60 pounds of baking soda were used as snow, 42 pounds of glitter added sparkle to the magic, 22 pounds of wood chips were used to create Sandy’s tree-house floor and 20 boxes of cereal covered the coral rocks. 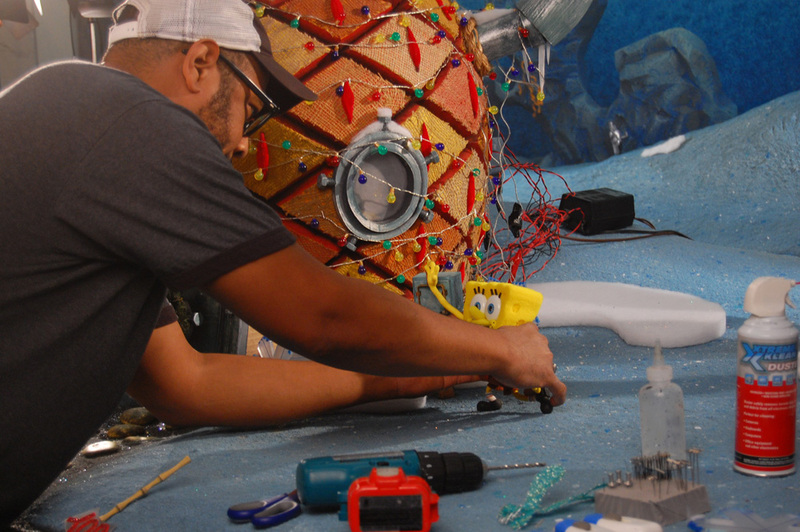 One of the team’s biggest challenges was making sure the stop-motion version of Bikini Bottom resembled the 2D world of the series. There was also the issue of making the yellow absorbent hero of the show resemble his 2D self. 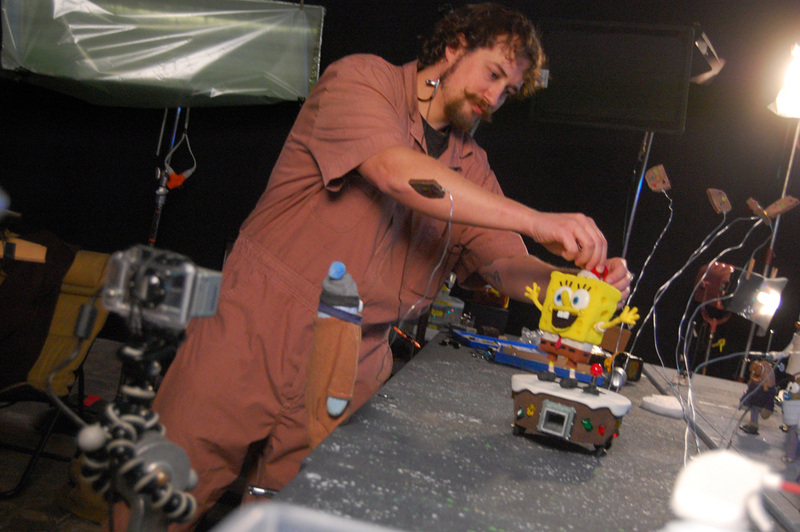 SpongeBob veterans Hillenburg and Tibbitt provided hands-on feedback on the production on a weekly basis. About 30 people worked on the special over at Screen Novelties. When asked to pick a favorite part of the special, both Caballero and Walsh point to the beginning minutes during which SpongeBob wakes up and meets the different characters. “You track down in Bikini Bottom as he wakes up, and there’s a cute sincerity about the whole segment,” says Walsh. Caballero adds, “We got to do some multi-media mixing of techniques here. There are some strange puppet cutaways. We wanted to keep the weird element in there. Everything that we direct has to be charming and a little bit odd as well. We believe that our heroes Rankin and Bass started it with Rudolph. You need to have a little bit of creepy in your holiday entertainment. It even goes back to Dickens when he introduced ghosts in A Christmas Carol!”. Now that they’ve re-imagined SpongeBob and his pals as stop-motion heroes, the Screen Novelties guys are getting ready again to work on their own original material. In addition to several new projects, they are shopping around a feature based on their popular Monster Safari short. The pic revolves around a pair of bumbling crypto-zoologists who spring into action to save the world’s most famous monsters from a ruthless big-game hunter. 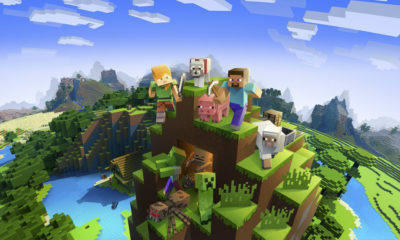 They’ve also delivered a LEGO piece for Cartoon Network’s Adventure Time and stop-motion work for Nick’s Teenage Mutant Ninja Turtles series. In addition, they are working on a special holiday fundraiser at L.A.’s Cinefamily to raise money for the Bob Baker Marionettes, the city’s 50-year-old children’s theater. 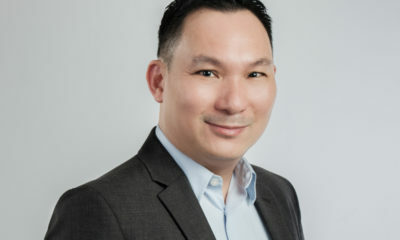 Of course, one of the reasons the team at Screen Novelties has been able to succeed in the competitive world of indie animation is their flexibility and ability to adapt to the changing needs of the market. It’s a SpongeBob Christmas! 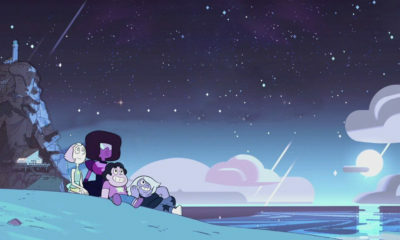 airs on CBS on Friday (Nov. 23) at 9:30 p.m. and on Nickelodeon on December 6 at 8 p.m. The special is also available on DVD (Nickelodeon Home Ent., $14.98). 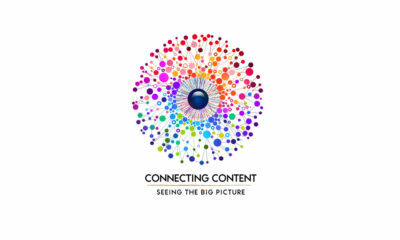 To learn more about Screen Novelties, visit www.screen-novelties.com.